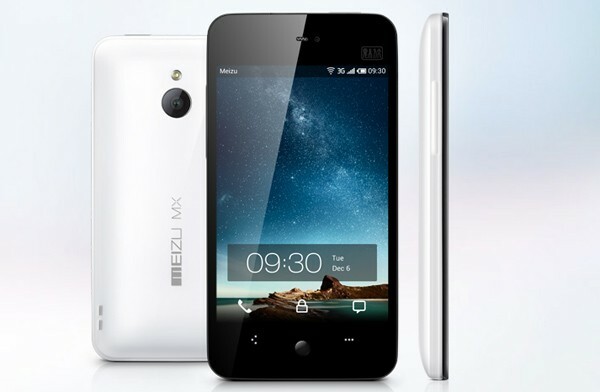 After some teases and leaks, Meizu’s finally unveiled its next flagship phone MX to keep China entertained for 2012. While the quad core flavor won’t be here until next year, this dual core model will be available in mainland China starting from ¥2,999 ($470) on January 1st (like with the M9 last year), and Hong Kong is still expecting an early January release. The full spec list now includes a 4-inch 960 x 640 ASV display, 1.4GHz Samsung Exynos 4210 dual core chip, 1GB of LPDDR2 RAM, 16GB of storage (32GB version to launch later), 0.3 megapixel front-facing camera, a secondary mic for noise cancellation and a 1,600mAh battery. Oh, that circular button at the bottom? It’s just a physical home button instead of an optical trackpad as previously rumored. Globetrotters will be pleased to know that the 10.3mm-thick MX will pack pentaband 3G with HSPA+, so all you need is a Micro SIM to get the phone working. As for software, it’ll come with Meizu’s heavily customized Android 2.3.5 initially (dubbed Flyme OS) but will eventually get the 4.0 update, as already promised by CEO Jack Wong. On the multimedia front you’ll again find native support for FLAC audio plus various video formats like MKV, MP4 and AVI; along with a micro-USB port that supports S/PDIF digital output, USB host plus MHL; and an eight megapixel f/2.2 backside-illuminated camera (which does smile detection and panorama shot) with 1080p 30fps recording. Head on over to Meizu’s website for the full lowdown — it’ll be a good way to practise your Chinese, too.